That insightful quote from an unknown source aptly sums up most people’s approach to New Year resolutions: put a list together of mostly unattainable goals, let our usual routines quickly get in the way, and then gradually let those resolutions fade to a distant memory – until we get to dust them off again 12 months later! According to The Journal of Clinical Psychology, only 8 percent of people are successful in achieving their New Near resolutions, and fully one quarter of people who make resolutions don’t get past the first week. But why are we so bad at achieving our goals? 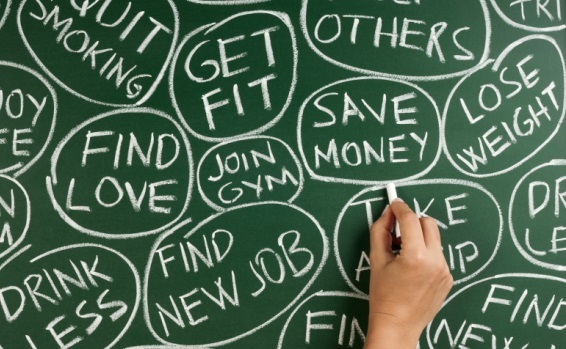 What is it about New Year resolutions that makes them so hard to keep? 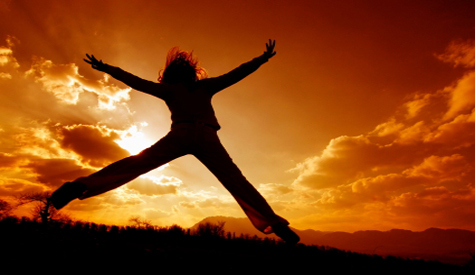 The simple explanation is that most people’s resolutions conflict with their daily routines. This makes perfect sense – if we want to change something about ourselves, we have to change our regular habits and most people are just not ready to make the required sacrifice. But it’s more than that. Most resolutions just aren’t any fun. The top resolutions each year are invariably ‘lose weight,’ ‘get organized,’ and ‘spend less,’ none of which will get the average person jumping up and down with excitement. If you’re working 40 hours a week, raising three young children and struggling to get to the gym twice a week, then setting a goal of learning a new language might be a tad unrealistic. Sets goals that you have at least an outside chance of achieving. In the same way that you shouldn’t set yourself up for failure at work or in your relationships, your shouldn’t stack the odds against you when you make your New Year resolutions. The more specific the goal, the more chance you have of achieving it. Instead of a New Year resolution of ‘lose weight,’ try something like ‘lose 5 pounds by January 31.’ If your goal is to be more organized, think about what you really mean by that and break it down into more manageable goals like ‘clean out the garage,’ ‘sort out my parents’ finances,’ or ‘work out a ride-sharing plan for the kids’ soccer practices.’ Once general resolutions are broken down into specific tasks, they seem much less daunting and often require much less in the way of a lifestyle change to get done. In a study of Harvard’s MBA program, students were asked about their plans after graduating. Eight-four percent had no specific goals; 13 percent had goals but they weren’t written down; and just 3 percent had clear, written goals. Ten years later, those graduates were interviewed again. The 3 percent with clear, written goals were earning, on average, ten times as much as the other 97 percent. A written plan makes a resolution real and gets you to think about the steps required to achieve your goal. If your New Year resolution is to ‘get fit and healthy,’ then be specific about what that means and then write down the steps that will get you there: ‘join a gym,’ ‘sign up for aerobics classes twice a week,’ ‘change my diet’ (write down your detailed diet plan). If you can’t write down a realistic plan, then that’s a sure sign that your goals are not attainable. A problem shared is a problem halved, and nowhere is that more true than when it comes to a change in lifestyle. If you want to lose weight, find a friend that wants to do the same and put together a plan that you can both sign off on. Similarly, if you want to take cooking classes or join a hiking group, find a friend that will do it with you, so the initial steps are less intimidating and there is peer pressure to stick with the program. If you don’t have a friend nearby, then social media is a great way to share your story and draw inspiration and encouragement from like-minded individuals. 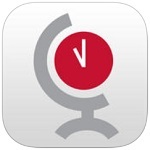 In the words of the old Apple commercial, there really is an app for that. We carry our smartphones with us wherever we go and it make perfect sense to turn to them when we need a little help with our goals. Whether it’s a financial planning tool, healthy eating suggestions, or a high-energy workout routine, our mobile devices and their app stores will find something that will keep you on track. Certain apps can even manage your whole New Year resolution schedule, from setting up notifications and reminders to automatically sharing your results with friends and family. While a two mile run every morning at 7 am might feel good for the first week or two, it can quickly grow old, particularly as those dark winter mornings drag on. Make sure you vary your routine, so you don’t get bored or jaded. Resolutions are so much easier to keep when they are fresh and fun! While losing a little weight or feeling more organized might be enough of a reward in itself, there’s no harm in adding a few incentives along the way. How about the occasional spa day as you hit certain milestones? Or a weekend away when you are still going strong after six months? Achieving an important goal is always cause for celebration, particularly when you finally get to keep a New Year resolution! Although ‘Get Fit’ and ‘Lose Weight’ are two of the more popular New Year resolutions, they are also two of the hardest goals to achieve. Getting in better shape invariably means a drastic change in lifestyle, and not too many people have the willpower or the flexibility to bring about that change without considerable support and encouragement from those around them. However, that doesn’t mean that making a New Year resolution to get in better shape is a waste of time. We just need to be realistic in the goals we set for ourselves and create an environment that allows us to succeed. We also need a coach and partner to keep us on track – and that’s where Verizon FiOS can lend a helping hand. A superfast Internet connection opens up a whole new world of online workouts and nutrition plans that can be customized to give you exactly the results you’re looking for. Streaming services like DailyBurn and Jessica Smith TV give you access to these personal health programs at home or on the road. Whether you are following on your computer, smartphone, tablet, TV or any other connected device, all you need is that reliable Internet connection and 30 minutes a day. If you don’t want to subscribe to an online fitness service, then there are plenty of On Demand fitness choices from Verizon FiOS, including boot camp workouts, yoga and pilates classes, and dance workouts of every imaginable description. Choose the setting and time of day and you can get everything done on your terms with no car rides or expensive gym subscriptions. Whether you are streaming personalized fitness routines or choosing your own On Demand programming, you are far more motivated if you have a workout partner. Here’s another way Verizon FiOS can help: set up a video chat so you and your workout partner can exercise together. You don’t have to be in the same room or even in the same part of the country. You get the extra motivation from not letting your partner down and you get to socialize! However you choose to get in shape, set attainable goals and find a routine that you know you can stick to. Enlisting the help of FiOS is the first step in turning that New Year resolution into a 2016 success story! The Online Mom LLC receives a fee for participating in certain promotional programs for Verizon FiOS. I recently read an article on Psychology Today that stressed the importance of bonding with our children and the impact that bond has on all future relationships, both romantic and platonic. I don’t think that comes as a surprise to any parent or caregiver. Beginning in infancy, nurturing that relationship is critically important. As our children get older and our lives get more complex, it may become more of a challenge to find ways to bond with your children as schedules get busier and common ground can be harder to find. Laying a foundation while they’re young will make it much easier to stay connected once those often challenging teen years hit. 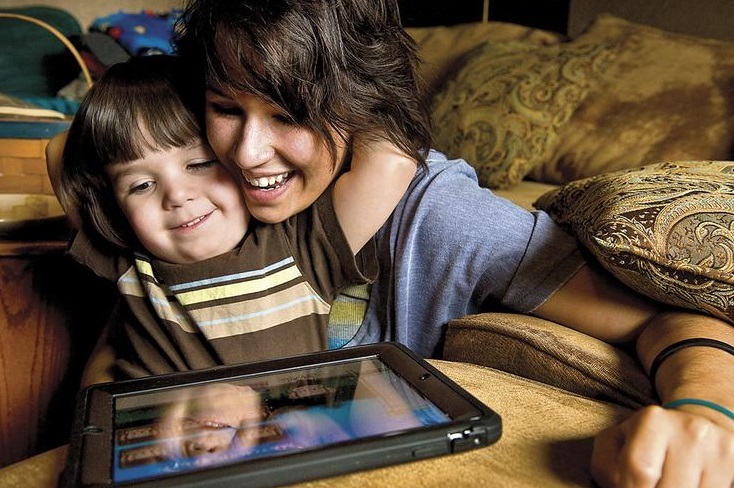 These apps can help you connect with your kids during those critical early years. Start bonding before you even see your child face to face. Bellabeat allows you to listen to your unborn baby’s heartbeat and then share it with others. The app is a “motherhood connected community” but the unique features make it easy to share the experience with your partner. Use the calendar to track milestones, weight gain, and new developments. There’s even a fun “kick counter”. Cost: the device retails for $129 but the app is free. Some of my most precious memories of connecting with my daughters are when we would get lost in a story together. We read together every night before bed when they were little and reading is still how we each fall asleep most nights. 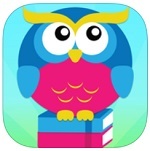 MeeGenius is a vast library of over 800 books your child can read aloud with you. Enjoy classics from Dr. Seuss and Sesame Street, as well as books specially created for the app. You and your child can read along with the storyteller online, offline or on-the-go. There’s a new free book every day and five free books to begin. 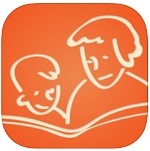 Kindoma is another reading app but it is designed to help kids read with a partner remotely. It’s ideal for parents who have been deployed, travel a lot, or even grandparents in another city. Both users must download the app and have an account, but once created, it’s easy to use. One individual calls the other from within the app and both can see the book and each other as well as point to things on the page, turn pages and otherwise interact. Cost: the app is free and comes with a small selection of classics; additional books are available as in-app purchases. Knoala invites you to “bond with your child over games and crafts that foster motor, cognitive, sensory, social, emotional, and self-care skills.” With thousands of activities created by physical and occupational therapists, age appropriate activities are specifically curated to develop emotional, sensory and language skills designed to bring you and your child together. Dance, sing, go on a treasure hunt, but most of all, have fun connecting with your kids. Staying active together can be a great way to bond. If you’re runners, Zombies, Run! ($4: iOS, Android Windows) is a great app that combines running with self-preservation, which I have always found to be a great motivator! If your family is looking to be a little more Zen-like, an app like Pocket Yoga ($3; iOS, Android, Windows) can help even beginners of all ages learn basic yoga poses and improve fitness levels. If you’re more the dancing kind of family, Zumba Dance! ($5: iOS, Android, Windows) lets you try a variety of styles including Bollywood, hip hop, and salsa. The app’s motion tracker helps you perfect those killer moves, so you can break them out at the next family wedding and really bond with your kids! 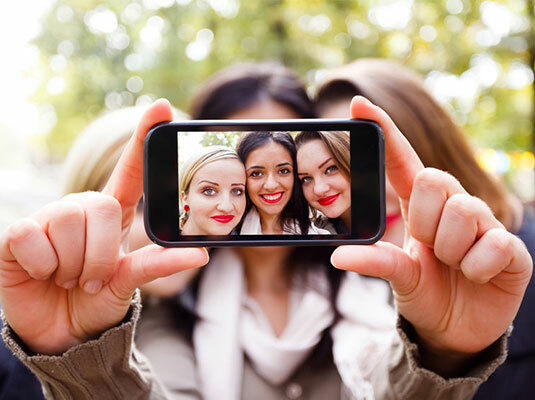 The common thread in all these apps is simple – spending time together. Even more valuable than a list of suggestions is an actual conversation. Sit down with your kids to find out what their interests are and, whether it’s fire trucks or fireflies, find a way to connect. The possibilities are endless. Join @RobynsWorld @TheTechDad @TheOnlineMom and @geekbabe TODAY at 12 noon PT (3 pm ET) as we chat about Smartphone Photography! Smartphones have become our go-to cameras but that doesn’t mean we are always pleased with the results. Join host @RobynsWorld and friends as we take a look at what we can do to improve our photos and highlight the camera features that can make us look like pros! RSVP and attend the party for a chance to win a GoPro HERO3+ Silver camera or a Droid Turbo smartphone! Plus, join @TheOnlineMom and special guest @Jason__Ramsey on the Video Recap right after the chat for a chance to win a Samsung Galaxy S5 smartphone! Join hosts @JoyceCherrier and @TheOnlineMom TODAY at 7:00 pm ET as we #CommitToYou! Resolutions are well-meaning but often fade and are quickly forgotten. So how do we keep our resolve alive? Three simple works: Commit To You. Join us as we discover our perfect mantras and chat about yoga, meditation, and our most important tool for positive change — our commitment to ourselves! RSVP and attend the party for a chance to win one of three Gaiam yoga sets! Email RSVP@theonlinemom.com (subject line: CommitToYou) and include your Twitter ID. Twitter may not be the first name that comes to mind for last minute travel, but if you know where you’re going and who to follow, it can be a lifesaver. Airfare Watchdog (@airfarewatchdog) covers all major airlines and tweets destination-specific deals daily, and JetBlue (@JetBlueCheeps) posts low fare deals every Tuesday. If you’re not sure who to follow or are looking for a getaway rather than planning a specific destination, TripTwit searches the best travel deals on Twitter and sends the five best to you via email. Last Minute Travel provides exactly what you expect – deals on last minute travel, including flights, accommodations, and touring activities once you reach your destination. Sort flights by price, stops, airline or length of trip and booking is literally as simple as one, two, three – it’s a three step booking process. For the best possible deal check out their hotel+flight+car rental packages. One recent deal offered 4-nights in a 3-star hotel in New York City, plus airfare, for $350. Next Flight offers up-to-the-minute information and deals on airline travel. Simply start with your location, add your destination and departure date, and the app sends you a list of flights with arrival and departure times, terminal and gate information. You can’t book directly from the app because the information is geared to travelers booking at the last possible moment, so a call to the airline is required. Hotel Tonight promises you a room with “three taps and a swipe”, all in 10 seconds. The site works in conjunction with hotels to fill unsold inventory and provide you with last-minute discounts – some pretty deep – on rooms. Type in your destination and the app loads hotels in that city divided into categories like “Basic,” “Solid,” or “Charming” with prices included. Tap on the photo for reviews, additional photos, and to book. 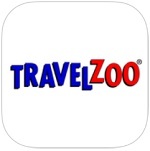 Travel Zoo is a favorite among those who can take advantage of spur of the moment vacation packages, but it’s also a great option for last minute holiday travel. They promise discounts up to 65% on flights, hotels, dining and entertainment. Expedia gets top marks for simplicity and convenience as well as price. The home page is divided into three columns, “Tonight, This Weekend, Next Weekend,” and provides a list of the best flight and hotel deals for your destination. Click on a deal to see photos of the rooms, which other rooms are available, and pricing. Similarly, click on the flight you want and a list of flights comes up with similar arrival/departure times for your destination. 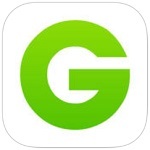 Get Away Tonight is a mobile-only feature from Groupon. Under the Hotel tab, users can search for accommodations in the desired city and Groupon will bring up a list of offers. Room assignments are made at check in and users not only get to take advantage of deep discounts but also get a 5% Groupon credit. 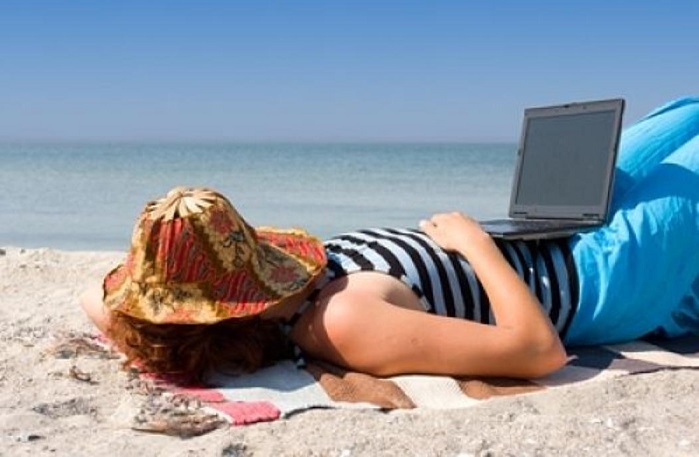 Keep in mind that last minute travel can sometimes mean taking the red-eye instead of a day time flight or a courtyard view instead of beach front, but if you can be flexible, these sites and apps can ensure you’re getting the best possible deal. 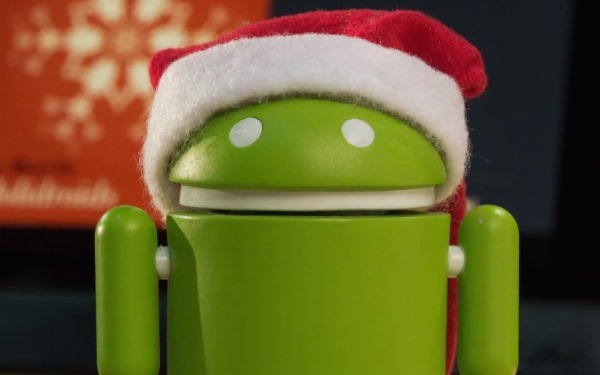 Looking to add some holiday cheer to your Android device? Here are several free apps to help you and your loved ones enjoy the Holiday season! Santa Tracker combines some fun Holiday games and a tracker of Santa’s journey all in one app. It also includes watch faces for Android Wear devices! Speak into microphone and Talking Santa will repeat your Holiday message. You can interact with Santa by tapping the screen for him to laugh and move. This is from the folks who brought us the My Talking Tom and other fun apps. Call From Santa makes simulated calls from Santa to your kids. There is no cost or limits to the number of “calls” you can make. Customize the calls for naughty or nice, and Santa always encourages positive behavior in your child. Kids can also record a voicemail for Santa with their wish lists. Always a favorite, Elf Dance allows you to add photos of yourself and your friends and turn them into a fun video of dancing elves. You can share your creation with your friends on Facebook, Twitter, or via email. Christmas Gift List makes keeping track of your holiday shopping a whole lot easier. Set budgets, include ideas, archives your gifts from year to year, and add notes to gifts. Christmas Gift List even supports multiple currencies. Christmas Ringtones is a collection of festive ringtones, including ringtones reflecting multicultural themes and languages. Christmas Songs features 15 of the most popular Christmas songs. While the songs are played in instrumental format, the videos include the lyrics so you can sing along even if you have forgotten the words. Join @TheTechDad @TheOnlineMom @RobynsWorld @geekbabe @VerizonInsider and friends TODAY at 12 noon PT (3 pm ET) as we chat about Mobile Entertainment! Faster wireless networks and a vast trove of accessible content are turning smartphones and tablets into our own personal TV screens, music centers, gaming consoles and more. 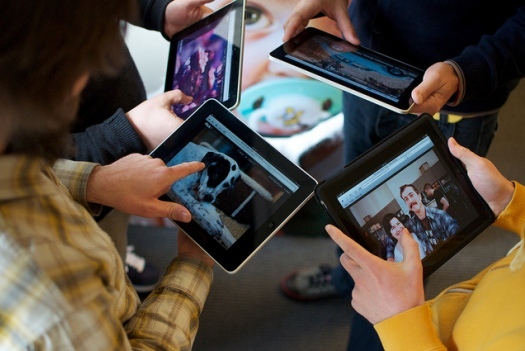 We look at the devices and apps that can help you join the mobile entertainment revolution! RSVP and attend the party for a chance to win a Google Chromecast streaming media player or a Motorola Moto X smartphone! Plus, join @TheOnlineMom and special guest @tommytrc on the Video Recap right after the chat for another chance to win a Moto X smartphone! Join hosts @TheOnlineMom and @geekbabe, together with special guest @FordDSFL, at 7 pm ET on Monday, December 22 as we offer Tips for Safe Winter Driving! Much of the U.S. has already experienced the harsh realities of winter and that often includes less than ideal driving conditions. Join us as we discuss the various steps we can take to be prepare ourselves for winter driving, and the on-road tips that can help keep ourselves and our loved ones safe! RSVP and attend the Twitter event for a chance to win a Kindle Fire HDX 7″ tablet or a Plantronics Bluetooth headset! 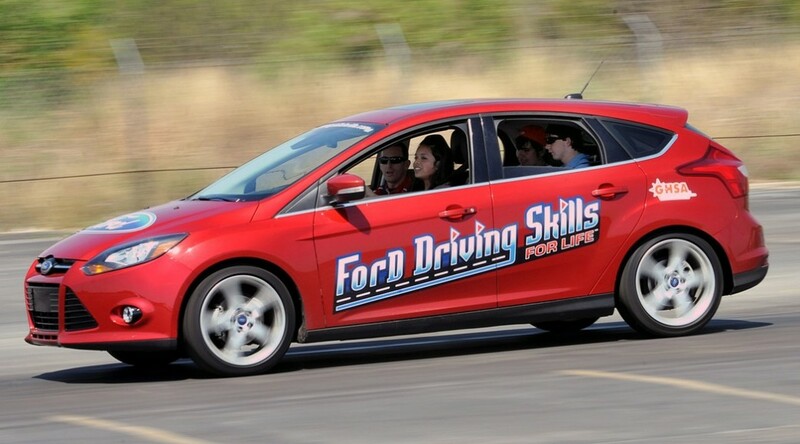 Email RSVP@theonlinemom.com (subject line: FordDriveSafe) and include your Twitter ID.